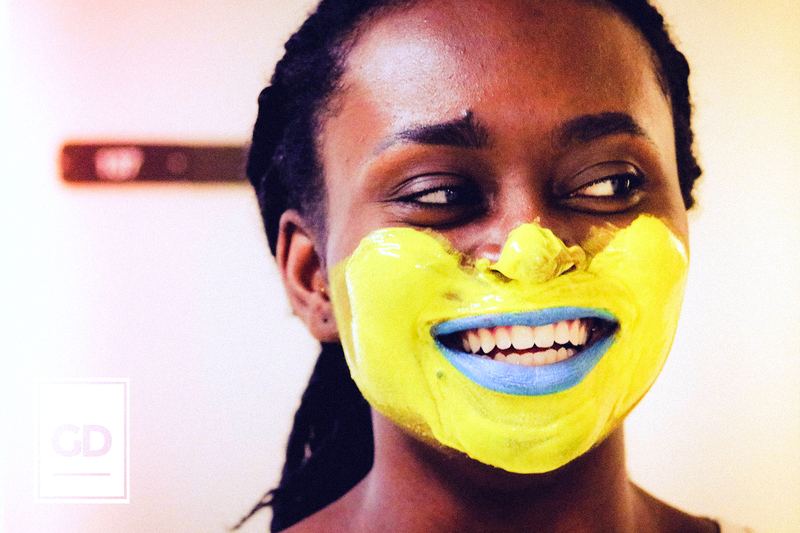 A Painted Smile – Hey there, I'm Gabriel. This photo was so perfectly timed that I couldn’t keep it out of my portfolio. This image was captured candid, and I just loved the mix of colors in the paint. I love a candid portrait, and this one felt right the minute I released the shutter. Sometimes, things just line up, you know? The mix of warm and cool colors of this photo create a great contrast balance, and I was lucky to get my shot. I didn’t take out the natural red light from the background, because it felt too clean, and much less real. I wanted to preserve the reality of the photo, so I let it very much alone.